So much less expensive than a face-lift. 1. 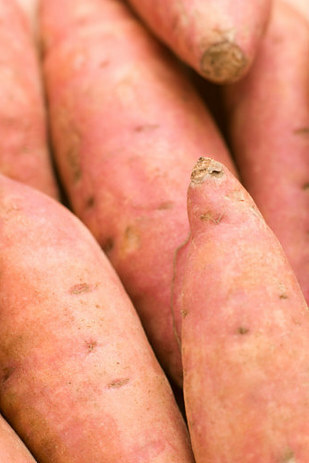 Eating sweet potatoes has lots of benefits, including keeping your skin firm. Every time you eat a sweet potato, you do your whole body a favor, including your face. “Sweet potato is an incredibly healthy food filled with carotene (key ingredient for glowing skin), vitamin C and B6, biotin and fiber and a strong antioxidant,” says Stephanie Middleberg, a New York-based dietitian and founder of Middleberg Nutrition. It’s also a good source of copper, which helps your body produce collagen, making the tubers a cheaper and less painful delivery system than facial injections. But how you eat your sweet potatoes matters too: Sweet potato fries are not necessarily a healthier choice than regular ol’ French fries. “It really depends how they are cooked,” says Keri Gans, another New York-based registered dietitian and the author of the The Small Change Diet. “If they are deep-fried, then don’t be fooled, you’re still eating a French fry.” Try making some baked sweet potato fries instead, so you get the nutrition without the unhealthy fats. 2. 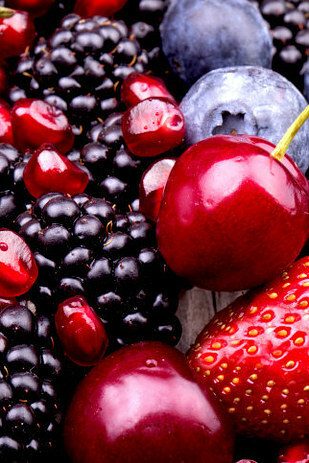 The antioxidants in berries can repair your skin and may even keep your brain young. Anthocyanin, the antioxidant that gives many berries their eye-catching colors, can also protect your skin from UV rays. “Strawberries are also a good source of silica, a vital trace mineral for healthy skin and connective tissue,” says Middleberg. On top of that, researchers at Tufts University and University of Maryland, Baltimore County found that after feeding rats a blueberry-and-strawberry diet over two months, and then using irradiation to accelerate aging, the rats’ brains had lower levels of toxins in them. “We are hoping [these results] will translate to human studies as well,” said Dr. Barbara Shukitt-Hale, the lead investigator of the study. Try these red, white, and blue berry yogurt popsicles for something sweet and healthy (or any of these delicious summer berry desserts if you want to indulge a little more). 3. 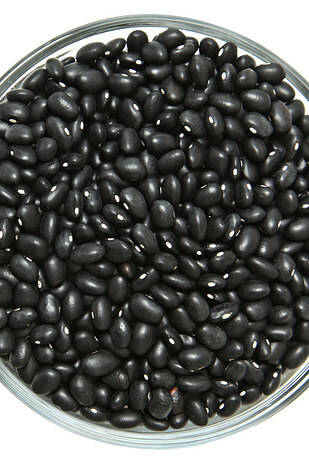 Beans help your skin by reducing inflammation and improve your heart health with protein and fiber. “Beans, in general, are amazing,” says Gans. They are full of protein, fiber, and B vitamins, all of which do your body good. The protein and fiber are good for your heart health, and the B vitamins, Gans says, reduce inflammation of the skin. While different kinds of beans have different levels of specific nutrients, Gans says to go ahead and just eat the ones you like. “But,” she says, “I’m not saying eat refried beans,” which can be high in fat. Instead, eat them plain or with your huevos rancheros. 4. 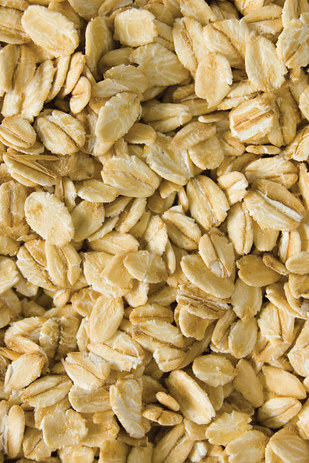 Oats are also filled with skin-improving B vitamins. “I’m a huge advocate of oatmeal,” says Gans. Oats are packed with a number of important nutrients, including B vitamins, fiber, and protein. Those B vitamins are great for your skin, hair, and nails, but they also go deeper to nourish your nervous system. The fiber helps keep your digestive system chugging along, and the protein keeps your energy levels up. But, Gans adds, “I’m not suggesting instant oatmeal that’s flavored with sugar.” Try these superfood-packed overnight oats instead. 5. 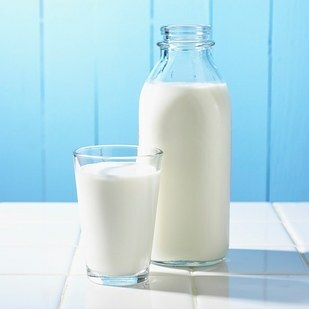 Milk can give you vitamin D if you aren’t getting it from time in the sun. Our bodies need vitamin D, which we usually get from the sun, so that we can absorb calcium and maintain good bone health. Plus, according to a 2007 British study, higher levels of vitamin D can also improve the health of the DNA in our cells, slowing the aging process and protecting against age-related diseases. “You really only need 10 minutes a day of sun to meet your vitamin D needs,” says Gans. But for some people, especially in the winter, even that 10 minutes may be hard to get. For those cases, Gans recommends milk, since nearly all is fortified with vitamin D. Some orange juices and non-dairy milks are as well. Just check the nutrition label. 6. 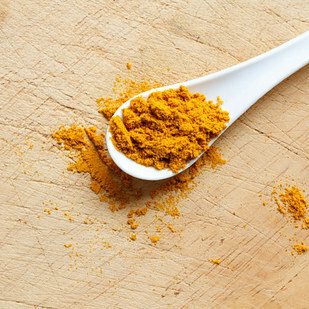 Curry powder may prevent the growth of toxic brain cells and prevent Alzheimer’s. Try these easy roasted curried chickpeas, which come with lots of healthy protein and fiber too. 7. Sardines and anchovies are full of brain-healthy omega-3 fatty acids (and have lower mercury levels and price tags than most salmon). Consuming more omega-3s in your diet can slow the natural deterioration of your brain as you age, according to a January 2014 study. Look for European anchovies from the Adriatic or sardines from the Pacific to get the most omega-3s with the least mercury. 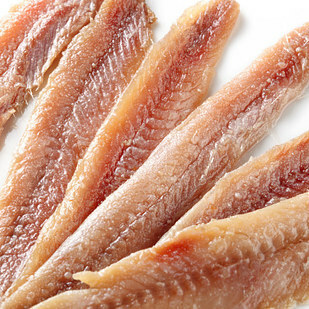 (Bonus: The tiny bones in sardines are another good source of vitamin D.) Scared to try anchovies? Ease yourself in with a green goddess dip. 8. Cocoa may lower your risk of heart disease and prevent diabetes and cancer — but choosing your chocolate carefully is essential. 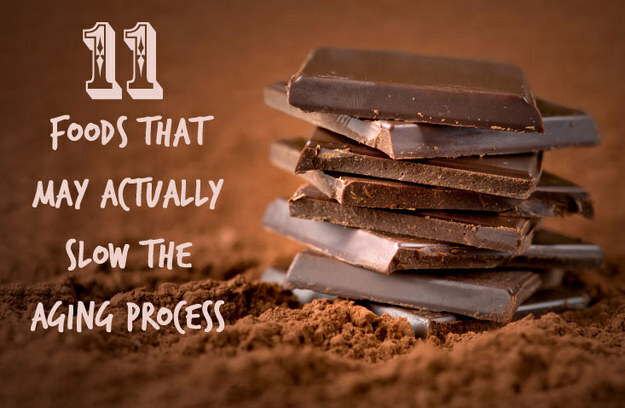 Not all chocolate is equally healthy, but the right kind can actually improve your health. 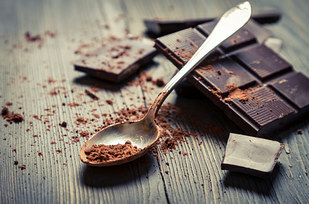 “Pure cacao,” Middleberg says, “is extremely healthy.” In a study of the Kuna Indians off the coast of Panama, scientists attributed the population’s low risk of high blood pressure and cardiovascular disease (despite their weight and salt consumption) to their high cocoa intake — 10 times more than what an American would typically consume. Eat cocoa nibs straight up if you like the bitterness, or try making these raw cocoa, nut, and berry truffles. 9. Healthy fats like olive oil and nuts can lower your risk of heart attack, stroke, and death from cardiovascular disease. Not all fat is bad! Some kinds may even help you live longer. In a five-year study of almost 7,500 participants, Harvard researchers found that people who consumed either an extra liter of extra-virgin olive oil every week or an extra ounce of mixed nuts every day had significantly fewer strokes, heart attacks, and deaths than the participants on the low-fat diet. “The reduction was impressive,” wrote Dr. Anthony Komaroff, editor in chief of Harvard Health Publications. Nuts and olive oil are both easy to incorporate into your diet. 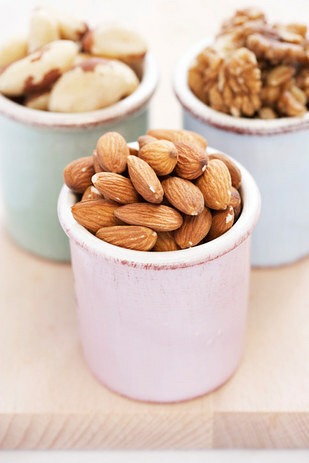 Cook with olive oil and snack on raw nuts next time you find yourself reaching for potato chips. However, Middleberg says, “It is still easy to overdo it.” She recommends limiting servings to 1 tablespoon of olive oil, 1 ounce of nuts, and 1–2 tablespoons of nut butter. 10. 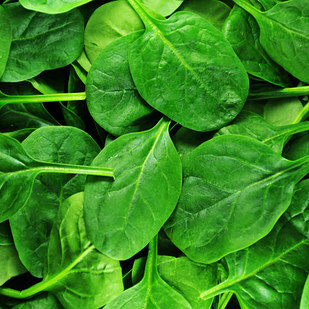 Spinach and other green leafy vegetables can boost your energy, make your bones stronger, and protect your eyes. It seems like there’s not much spinach can’t do. Those little leaves are full of iron, vitamin K, and the nutrients lutein and zeaxanthin. The iron will boost your energy and build your muscles, while the vitamin K will help your bone density and prevent prevent fractures and osteoporosis. The lutein and zeaxanthin allow your retinas to absorb damaging light before it can hurt your vision, and lower the risk of chronic eye diseases like cataracts and age-related macular degeneration (AMD), according to the American Optometric Association. Adding spinach to your diet is easy because you can eat it raw or cooked, sautéing it takes about a minute, and you can throw it into dishes where it’s not even listed as an ingredient. To get the full benefits of fat-soluble vitamin K, be sure to eat it with some fat, like olive oil or cheese, so that your body can absorb it. Try putting it in a quiche like this one. 11. Moderate intake of red wine can improve cardiovascular health, may prevent cancer, and may even help treat diseases like Alzheimer’s and Parkinson’s. 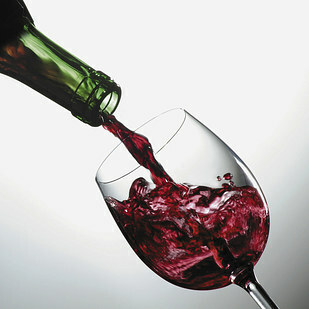 Good news for red wine lovers: A glass a night can improve your cardiovascular health. According to studies from the University of California Davis, antioxidants in the red grapes’ skin and seeds can reduce production of LDL (“bad”) cholesterol, increase HDL (“good”) cholesterol, and reduce blood clotting. Other studies have found that the antioxidant resveratrol in the grapes’ skins can prevent tumor development, as well as help your body create nerve cells, which may help treat neurological diseases like Alzheimer’s and Parkinson’s. Choose drier (less sweet) red wines for the biggest health benefits, say UC Davis researchers. Not a wine drinker? You don’t need to pick up the habit. “If you’re not drinking alcohol, I don’t recommend you start just to get the health effects,” says Middleberg. Eating grapes will give the same benefits, says Gans.